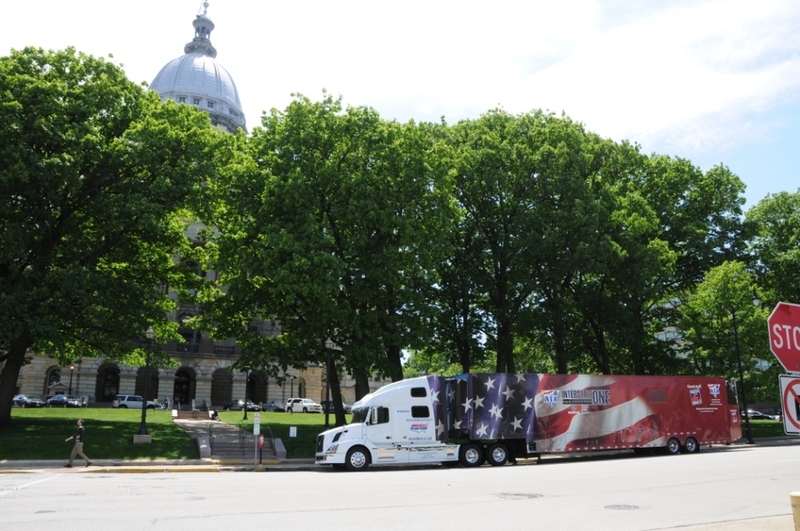 For 89 years, the Illinois Trucking Association has been a powerful voice for the trucking industry representing our members and our industry in Springfield and in Washington, DC. ITA’s team of lobbyists are constantly working with elected officials and regulators to promote and protect the interests of the trucking industry. Please see below for the latest in State and Federal trucking legislation. The Commercial Distribution Fee (CDF) is a 14.35% sales tax imposed on all license plates in Illinois from 8,001-lbs to 80,000-lbs. The CDF costs the trucking industry an extra $50 million per year and the entire amount of the CDF goes into the General Revenue Fund; not into the road fund, not to Illinois State Police, and not to the Illinois Secretary of State. ITA is leading a coalition of organizations to repeal the CDF and save truck operators from paying this additional fee into the General Revenue Fund. Illinois currently has a Move Over Law (Scott’s Law) that requires motorists to reduce their speed or to move over when there is a police car or a construction worker on the shoulder of the road. However current law does not offer this same protection to a truck driver, a service vehicle, or even a passenger car that is disabled on the shoulder of the highway. HB 6006 will require motorists to slow down and/or move over for all disabled vehicles on the shoulder of the highway. Due to a legislative drafting error, the industry is in jeopardy of losing the 34-hour restart that allows a truck driver a fresh start for the number of hours they may drive a commercial motor vehicle. ITA is working with our State Trucking Association affiliates as well as the American Trucking Associations to restore the legislative error that is threatening to eliminate the 34-hour restart. For decades, trucking regulations have been largely governed on a federal level to avoid a patchwork of inconsistent laws on the industry. Due to recent attempts by states to preempt federal law and to create their own laws governing interstate trucking, the ITA has partnered with the ATA and our State Trucking Association affiliates to further define the existing laws on federal preemption and to prohibit states from making up their own rules to govern interstate trucking. TIPAC is the political action committee of the Illinois Trucking Association. With the support of ITA members, the association is able to maintain a powerful voice in the Illinois General Assembly. Our legislative team diligently keeps the trucking industry’s best interest at the forefront. That is why is it imperative that ITA has the resources it needs to support candidates that, in turn, understand and support the association. The TIPAC Committee is a vital network of ITA supporters who donate their time and dollars to support the association so it can succeed at every level of government. The donations are used to support our advocacy efforts through TIPAC. Your commitment to ITA is essential to our success.